Prof. Dr. Henry Peter studied law between 1976-1979 at the University of Geneva and graduated with the degree “licence en droit”. In 1981 he was admitted to the Bar in Geneva. In 1988 he obtained his PhD degree in Geneva after having been a visiting scholar at the University of California at Berkeley between 1983 and 1984. Between 1998 and 2012, Prof. Dr. Peter has been head of the Master program in Business Law at the Universities of Geneva and Lausanne. Since 2006 he is head of the Commercial Law department of the Geneva University Law School. 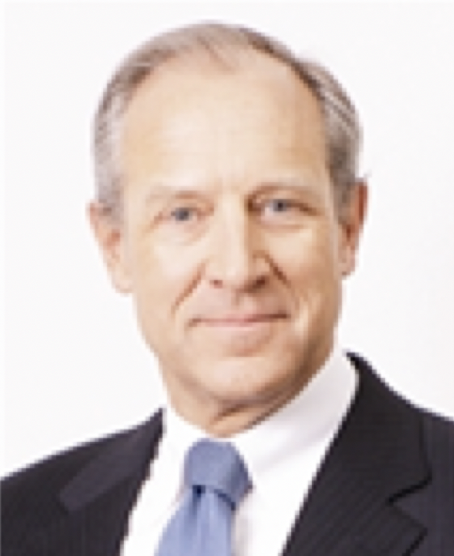 Besides his teaching and research activities, Prof. Dr. Peter is senior partner of a law firm based in Lugano. Since 2004 he is member of the Swiss Takeover Board and, since 2007, of the Sanction Commission of the SIX Swiss Exchange. He has been chairman of the Geneva Business Law Association between 2003 and 2006, is a member of the editing board of the Swiss Review of Business and Financial Market Law and member of the board of the Centre of Banking and Financial Law of the Geneva University. Since 2001 he is the vice-chairman of the disciplinary chamber of the Swiss Olympic Association in charge of doping cases; has been a member, between 2003 and 2008, of the experts group on company reorganisation appointed by the Swiss Federal Office of Justice, is a member of the Board of the Swiss Arbitration Association, chairman of its Swiss Italian section (GASI) since its establishment in 2003 and, since 2011, is a member of the EuroArbitration permanent Arbitral Tribunal of the “Centre Européen de Règlement des Différends Financiers” in Paris. Conflicting Contracts in Sport: Resolution through Central Filing and ad hoc Arbi-tration, in Arbitration of Sports – Related Disputes – L’arbitrage des litiges liés au sport, Special Series ASA 11, Zürich 1998. La société sportive “idéale”: association ou société? Coopérative ou anonyme?”, in La forme sociale des organisations sportives: questions de responsabilité, Ba-sel 1999. La forme juridique des clubs suisses: situation actuelle et perspectives souhai-tables, in Comment améliorer la situation économique des clubs sportifs profes-sionnels?, Publication of the International Center for sports studies (CIES) n° 4, Bern 2000. Les comités dans les groupes (vers un ou des comités de groupe? ), in RSDA/SZW 2004. Les groupes de sociétés sont (parfois) des sociétés simples: retour sur sujet et état des lieux in Mélanges en l’honneur du Prof. Walter A. Stoffel, Institut Droit et Ecomie, Institut für Recht und Wirtschaft, Marc Amstutz/Isabelle Chabloz/Michel Heinzmann/Inge Hochreutener (Eds. ), Bern 2014. Commentaire de l’article 725a CO, in: Pierre Tercier/Marc Amstutz (Eds), Code des obligations II, Commentaire Romand, Basel 2016. Commentaire des articles 698 à 726 CO (co-authoreded by Francesa Cavadini), in: Pierre Tercier/Marc Amstutz (Eds), Code des obligations II, Commentaire Ro-mand, Basel 2016. Commentaire des articles 727 à 731b CO (co-authoreded by Emmanuel Gene-quand and Francesca Cavadini, in: Pierre Tercier/Marc Amstutz (Eds), Code des obligations II, Commentaire Romand, Basel 2016.